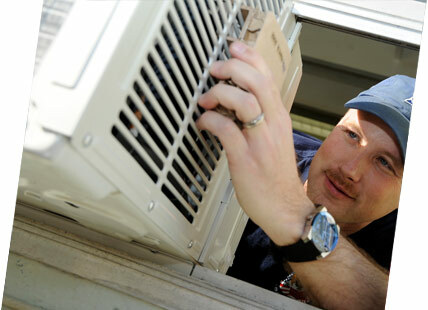 When you decide to install air conditioning to your home it is a significant investment. The process can go very well or horribly wrong. We are for you to guide you through the process of deciding the best option for your needs. From the initial enquiry you can call our office, visit our show room or email your interest we will organize a time for a consultation. You will receive a professional written quotation that upon acceptance you will be programmed into our installation schedule and given a confirmed installation date. On the day of the installation our professional installers and electricians will arrive and one of our trained staff will again confirm all details of the installation prior to starting works. Installation will be at the highest quality as we understand this is your home and we want to give you the highest professional finish you can be proud of. Once invoice is complete our office staff will contact you to ensure the quality and your expectations was met. If you are ready for one of our professional sales team to contact you please submit enquiry here or call us on 1300 729 8889. We can offer you a wide range of domestic and residential product to suit any application. We deal with many manufactures so you are assured that we can give you the most up to date technology to suit your home. We are the warranty agents and can repair all that we sell. You can be worry free about your investment. Contact us today, for an obligation free quote regarding your residential air conditioning solution! Our company have the capability and experience to take on any commercial Mechanical service project. We specialize in the up to $2 million in mechanical services market. We are capable of Design and construct or fully designed packages, Multi residential projects, Commercial office spaces or commercial retail spaces. We always aim for our projects on time and on budget. Our resources include project managers, Site foremen, electricians, Refrigeration Mechanics and duct erectors. The Arctic Cold Refrigeration service division can tailor a service and maintenance program to suit your needs and budget. A good maintenance program can help eliminate or spot any potential problems before a break down may arise potentially saving lost revenue in stock and sales losses. We employ qualified refrigeration mechanics and electricians and service technicians to undertake all our service and maintenance work. We can diagnose, repair and monitor all of your plant and equipment. We have an after hours call out system for our commercial customers, so if you have an emergency breakdown refrigeration or air conditioning that requires urgent attention please call us and one of our after hours mechanics will attend. Arctic Cold Refrigeration has a team of full time electricians that can handle your electrical needs. We can handle your electrical needs weather it is a ceiling fan or a switchboard upgrade please enquire for your electrical needs. Arctic Cold Refrigeration are authorized repair and warranty agents for Engel refrigeration. In our workshop we can undertake diagnosis and Repair of all portable refrigeration systems and sell Engel refrigeration.